Downtown Delaware’s annual car show has blasted into the future under new management. 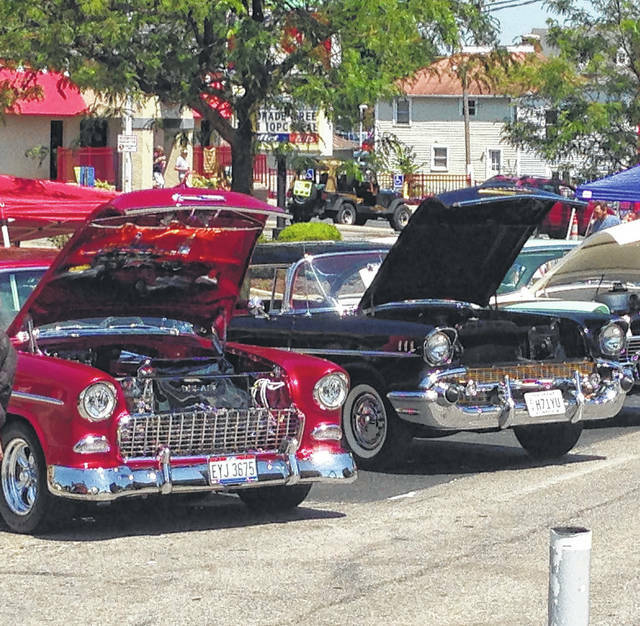 Formerly known as Blast from the Past, the 24th Annual Performance Classic Car Show is scheduled for Saturday. “Things are going relatively smooth,” said Denny Friermood, the general manager of Performance Chrysler, Jeep, Dodge, Ram Delaware dealership. “I’m hoping for good weather,” he added. The show will be set up along Sandusky Street, between Harrison Street and Central Avenue. Sandusky will be closed to traffic. Other street closings include West Winter Street to the alley next to Bun’s Restaurant, East Winter Street to the city parking lot exit, and Spring Street to the NAPA store. William Street will not be closed. The annual Delaware Main Street Farmer’s Market will be held at its regular time, but in a different location in front of City Hall. More than 650 vintage vehicles are expected to be in the downtown area for one of the state’s largest shows. Registration begins at 7 a.m. and judging is at 3 p.m. Event officials will award 115 trophies this year along with gift bags filled with items from sponsors, Friermood said. Some changes from the show’s prior years will include mobile registration and more restrooms, based on feedback from previous registrants. Some downtown restaurants and bars will provide food that can be served quicker for visitors to the show, he said. Proceeds from T-shirt sales, a raffle, and vehicle registrations will be donated to OhioHealth Hospice and the Arthritis Foundation. There will also be a traveling trailer that will display life-size mural paintings of the 23 fallen members of Lima Company 3/25, one of the hardest hit units in Operation Iraqi Freedom, according to the Lima Company Memorial website. The annual cruise will be held at 6 p.m. Friday at Chesrown Chevrolet/Buick/GMC, 1701 Columbus Pike, featuring activities, food and music. The Vintage Auto Club of Delaware had originally organized the show for the first 23 years, raising more than $260,000 for Ohio Health Hospice of Delaware giving 300 patients the care they need. The club decided to discontinue the show because its aging membership was unable to accommodate its growth. “It was good for the community, a lot of people talked about it,” Friermood said. Mayor Carolyn Kay Riggle asked Friermood to sponsor the car show. “We felt like it was the right thing to do,” Friermood said. The dealership has also organized car shows in Marysville and Dublin and some of their employees have done shows in other parts of Ohio. For more information, visit www.performanceclassiccarshow.com. 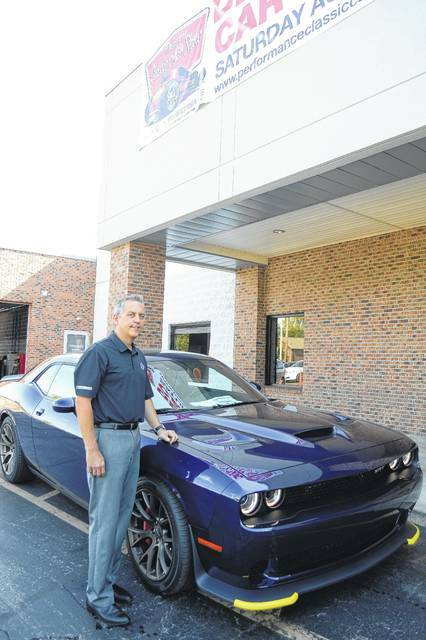 Denny Friermood, general manager of Performance Chrysler, Jeep, Dodge, Ram, Delaware dealership, poses with one of the dealership’s vehicles. The dealership is the new organizer of the annual downtown car show. Vintage vehicles will line the streets of downtown Delaware on Saturday when the Performance Classic Car Show returns for its 24th year. More than 650 vintage vehicles are expected to be entered in one of the state’s largest shows. Registration begins at 7 a.m. and judging is at 3 p.m. For information, visit www.performanceclassiccarshow.com. • Galena Summerfest, Galena Village Square, 11 a.m. to 11 p.m. Saturday. Free admission and parking. Beer garden, kids zone, pony rides, historic tours from 1 to 7 p.m. and live music throughout the day and evening. For information, visit www.galenasummerfest.com. • Two-year anniversary, Ill Mannered Brewing Co., 30 Grace Dr., Powell, noon to 10 p.m. Saturday. The brewery will have big party to celebrate two years of crafting beers. It will release new beers and past favorites throughout the day. For information, visit www.facebook.com/illmanneredbeer. • Ohio State football discussion, Delaware Main Library, 84 E. Winter St., 2 to 3 p.m. Sunday. Robert Roman, author of the “Ohio State Football: The Forgotten Dawn,” will visit the library to share stories about the Buckeyes’ earliest days including Ohio State’s first game, which was played in Delaware against Ohio Wesleyan in 1890. Kidnap (R): [2 p.m.], 5 p.m., 8 p.m. Leap (PG): [2:15 p.m.], 5:15 p.m., 8:15 p.m.
Logan Lucky (PG-13): [2:30 p.m.], 5:30 p.m., 8:30 p.m. NOTE: Showtimes in [brackets] are Saturday only. Kidnap (R): 1 p.m., 4 p.m., 7 p.m. Leap (PG): 1:15 p.m., 4:15 p.m., 7:15 p.m.
Logan Lucky (PG-13): 1:30 p.m., 4:30 p.m., 7:30 p.m.